Built for the bike commute and styled for the city, the Arc'teryx Men's A2B Vinta Jacket is a performance mid layer with a clean, finished look. 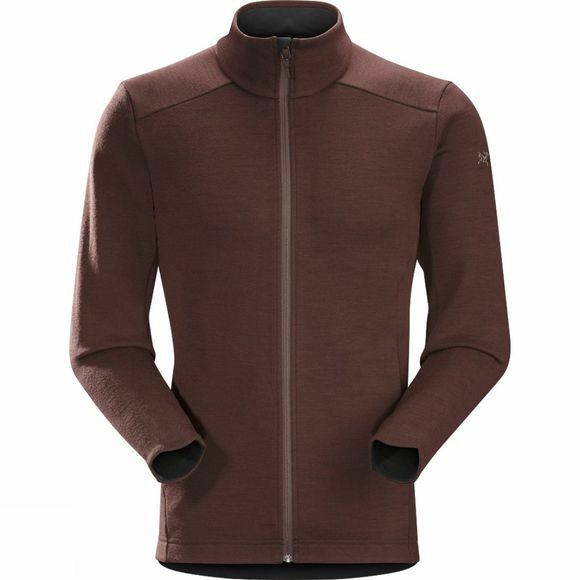 Made from Wynne fabric, the jacket combines a soft fleece interior that delivers warmth and moisture management with a Merino wool face for durability and odour resistance. The trim fit layers easily, and the articulated patterning is specifically developed for freedom of movement while riding.